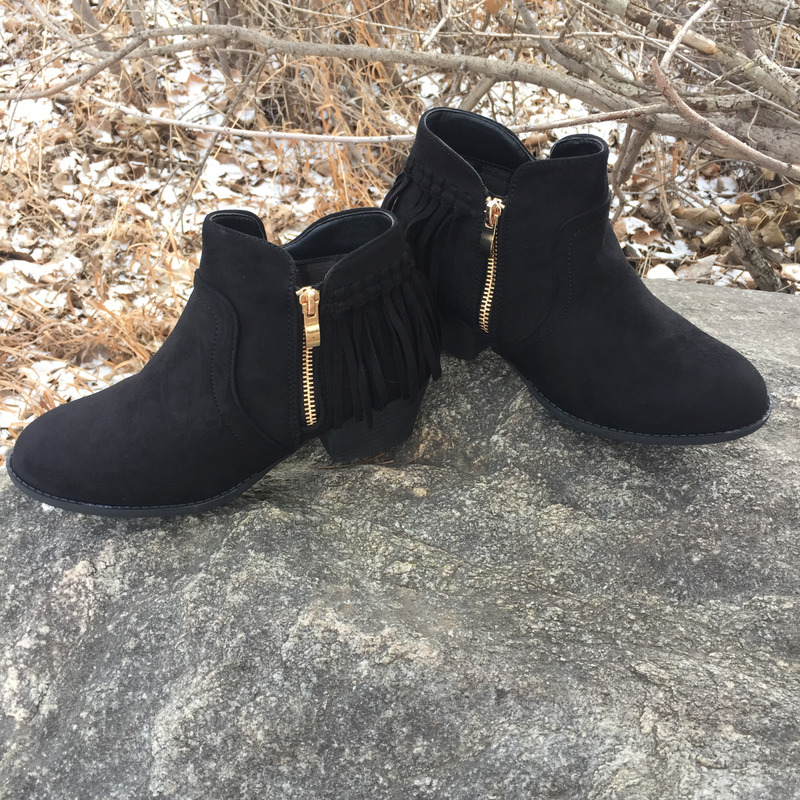 Introducing our easy to wear fringe ankle bootie. Suede look with fringe back and an adorable gold side zipper. This is a versatile shoe and really easy to wear.